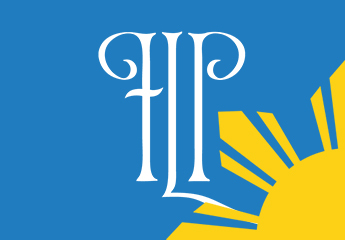 During his eleven years in the Supreme Court, Chief Justice Panganiban wrote around 1,200 full-length decisions and separate opinions, many of which bear jurisprudential value and far-reaching effects for the nation. He also wrote about 100 separate opinions, in which he eloquently conveyed his convictions and ideals, and countless minute and extended (unsigned) resolutions disposing of cases. Among his notable ponencias (full-length decisions and separate opinions) are those with social and political impact on our nation and people, like La Bugal v. Ramos, Infotech v. Comelec, Republic v. Cocofed, Tañada v. Angara;with jurisprudential or instructive value, like People v. Genosa, Velarde v. Social Justice Society, Arcelona v. Court of Appeals, Madrigal Transport v. Lapanday Holdings Corporation; relevant to national personalities, like Obosa v. CA;expressive of his convictions, like Marcos v. Sandiganbayan, People v. Esparas, People v. Echegaray, Firestone Ceramics v. CA, Serrano v. NLRC; and with interesting stories, like Macasaet v. Macasaet. The 11 books that had been written by the former Chief Justice—one for each year of his magistracy—may be found in his personal website. His valedictory tome, Liberty and Prosperity (two volumes), expounds on his core judicial philosophy, which articulates his vision for the judiciary: to safeguard the liberty and nurture the prosperity of our people under the rule of law. His recent speeches on the subject may also be accessed in his website. 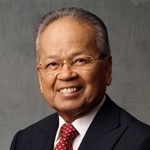 NON-EXECUTIVE DIRECTOR, Jollibee Foods Corp.
HONORARY CONSUL, Republic of Honduras (1981-1983).